Digital business initiatives remain a key priority for government agencies, yet progress remains slow as deployments lag behind the private sector. 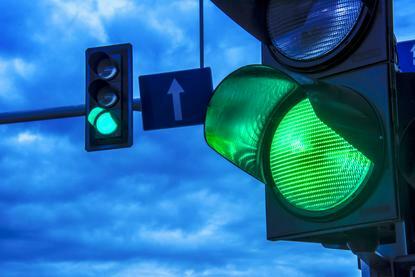 That’s according to Gartner research, which states that half of government departments are looking to digital government to support a combination of transformation and optimisation goals. Meanwhile, the other half is focusing on a single ambition, either optimisation (33 per cent) or transformation (17 per cent). 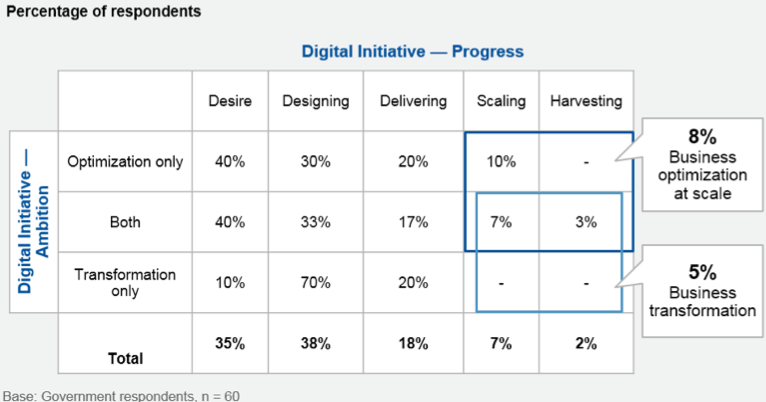 The analyst firm outlines five stages on the road to digital transformation: desire, designing, delivering, scaling and harvesting. “Ninety-one per cent of government respondents consider themselves at one of the first three stages, which focus on the development and introduction of new services,” said Dean Lacheca, research director at Gartner. The digital business survey was conducted among 372 digital decision makers in six countries, spanning US, Canada, UK, Australia, India and Singapore across six industries - financial services, government, manufacturing, retail, healthcare and education. “The survey results indicate a lack of effectiveness by government organisations at scaling their digital business,” added Lacheca. For Lacheca, a digital business and technology strategy cannot exist on its own, rather “it must be part of a larger business transformation journey”. “If strategy and ambition are aligned with business priorities, but progress remains elusive, the focus should be on the urgency and readiness of the organisation for digital change,” Lacheca added. In a nod to the channel, Lacheca said ecosystems are also key to helping government organisations scale digital business operations. Specifically, collaboration with partners, including employees, citizens, consumers, start-ups, digital giants and service providers, can “play a major role” in scaling the benefits of digital government. According to findings, government agencies already use a range of business ecosystems. Over half of departments use third-party developers to deliver value to citizens - this figure is “substantially higher” than that for all the survey respondents (41 per cent). “Government support of services built by third-party developers can be directly linked to open data, open APIs and support for civic technology,” Lacheca added. “This a big step in the right direction. To exploit the full potential of ecosystems, government CIOs should explore new partnerships. “Other external ecosystems, like those of startups and citizens themselves, offer tremendous opportunities. Furthermore, governments are working to improve the digital dexterity of their employees, with 48 per cent of respondents rating this “critical to the success” of digital business deployments. Nevertheless, 58 per cent indicated that they have no formal program to ensure their workforce has the digital skills needed for digital business success. “A digital workplace program is the most effective way to bring together a higher standard of workplace technologies with the development of digital skills needed to increase digital dexterity,” Lacheca explained.